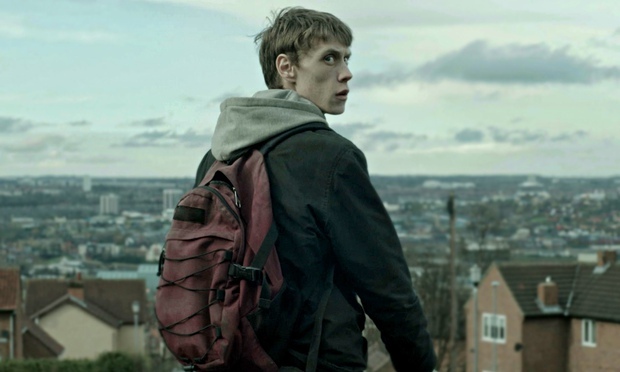 Duane Hopkins’ Bypass is the story of Tim (George MacKay), an unemployed young man doggedly keeping scraps of food on the table and bailiffs at bay by selling stolen electronic goods. His mother having recently died, Tim’s sense of responsibility towards his younger sister is palpable, as is his determination to avoid falling deeper into a local underworld of crime his older brother has just escaped from. 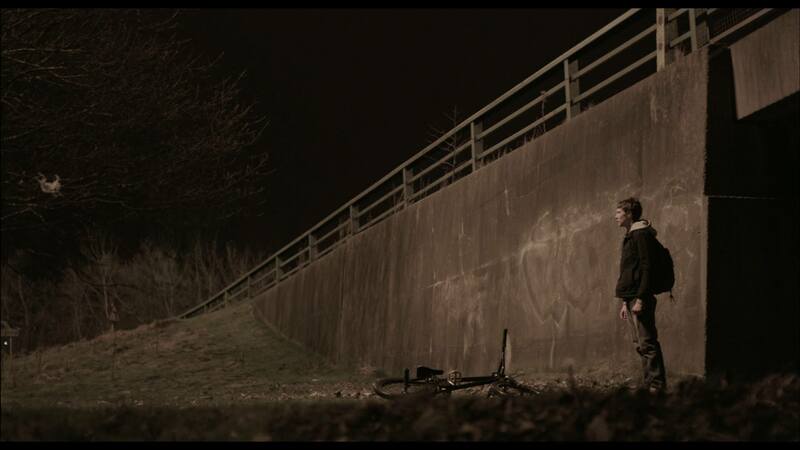 The filmmakers shot in and around Gateshead and Newcastle, though avoided including any landmarks and discouraged prominent regional accents. This gives Bypass a familiar everytown aura, though to call its aesthetic or tone “kitchen sink” would be lazy and reductionist. In an early shakily-shot chase sequence we watch Tim’s brother Greg (Benjamin Dilloway) being pursued by police, from what seems to be shifting first-person perspectives. The proximity the handheld camera provides to a landing punch eclipses the impact of some of the most in-your-face uses of 3D. While shaky camerawork is a staple of realist filmmaking here it’s unusually paired with an impressionistic score and scenes which can be interpreted as visions or memories. When asked, producer Sam Haillay convincingly justifies this juxtaposition of potentially supernatural elements with more typical socio-realist techniques by alluding to the fact that imagination and memory are integral to human reality. If Bypass has a sense of universality about it, this is tempered by specificity in MacKay’s entrancing and devastating portrayal of Tim. The film’s shooting style favours close-ups, demanding and rewarding nuanced performance; MacKay gives Tim recognisable tics such as a habit of grasping the back of his neck when anxious. Fittingly, MacKay does not look well for most of the film, and as the gravity of Tim’s situation escalates some scenes make for distressing viewing – yet looking away is unthinkable. It’s clear from the post-screening Q&A that real heart has gone into the making of this picture. But there’s also a body of documentarian-like research and observation behind it, as described by Haillay. The film’s contemporary relevance is emphasised by the presence of panel members from Oxford University’s department of Social Policy and Intervention, who elucidate Bypass’ engagement with the social work system whilst also being perceptive to its diverse generic traits. The post-film talk was as inclusive as it was illuminating, enabling audience members to contribute to discussion about Bypass’ social commentary and its divisive conclusion. Bypass combines an absolutely riveting narrative with something rarer – a social conscience. It’s an unpretentious yet boldly directed film which deserves a wider audience than it’s likely to get. This entry was posted in Film Reviews and tagged Benjamin Dilloway, Bypass, Duane Hopkins, George Mackay, Oxford University, Samm Haillay, Ultimate Picture Palace. Bookmark the permalink.